I decided to use the occasion of reviewing an Australian Shiraz as an excuse to bring together a group of good friends at San Francisco Restaurant Bacar, where on the first Monday of every month (except December), they sell nearly all of their bottles of wine at half the menu price. This is an exciting prospect as Bacar sells over 1000 wines by the bottle. Their wine menu is a hefty tome and this stylish brick wood and glass restaurant features an impressive wine wall where you can see all of the bottles piled sky-high. In a casual mood, we opted to sit at the bar, so those in the party who did not want to eat would feel more comfortable. Without identifying individuals, here follows the conversation three Brits, one Frenchman and two Americans, male/female ratio 3:3, had when attempting to review the Shiraz in semi-serious fashion. Mmmm, it smells lovely, it has an amazing smell. [On swirling the wine around a glass] Ooh it's quite leggy. Ehr, it smells better than it tastes. It's a little bit bitter. I don't think its bitter at all. But I think it is round and warming. I've decided, actually, it doesn't have a good smell. Breathing has opened it up. Say it's "blossomed", that sounds better. I think there is a slightly "dead" taste underneath the round beginning. It's like a few little things fell to the bottom of it and died. Ha! that accounts for all the legs then! It's all at the front of the mouth and not at the back - doesn't that mean its sweet? It's too dry, its zapping all the moisture away from my mouth, I don't like it. It's true. I didn't like the Shiraz at all. I wasn't surprised. Last Friday at the San Francisco Food Bloggers Meet at Vino Venue I bent the ear of Alder from Vinography and asked him to talk me through the Shiraz in anticipation of meeting this WBW challenge. Alder explained to me that Shiraz is a spicy wine that has a much higher alcohol content than other wines and he suggested one for me to try. I did try it. I didn't like it. I also recalled a trip to The Slow Club where on tasting several different wines by the glass, we all specifically recalled we didn't like the Shiraz. This is good news though! Now I know specifically not to choose this wine in the store or in a restaurant in future. The full dinner menu is available at the bar. I had an appetizer of flat bread, roasted pepper, caramelized onions and Triple Creme cheese. It sounded better than it tasted. The flatbread was nothing more than a cracker and the cheese tasted strangely acidic, not deliriously creamy as I was expecting. I think this particular wine pairing was a hinderance to the cheese. I was jealous of the two friends who settled for a Duck confit salad with poached egg. I tried the meat which was delicious. The lardons, however, were curiously fatty and squidgy. A little crisping would have improved them no end. For $31 Fred told me the ribeye steak was good but not astounding and he described the fries as 'standard'. He said he would have expected something much better for the hefty price. The half-price wine deal at Bacar is the best idea I've come across in a long time. Monday evenings are often boring so what a great excuse to get some friends out for a laugh over a bottle of excellently priced wine. Really great live jazz makes the experience even more attractive. I think next year I am going to make this a regular date in my diary just like my friends MB & D who have a monthly reservation and who kindly told me about this great offer in the first place. 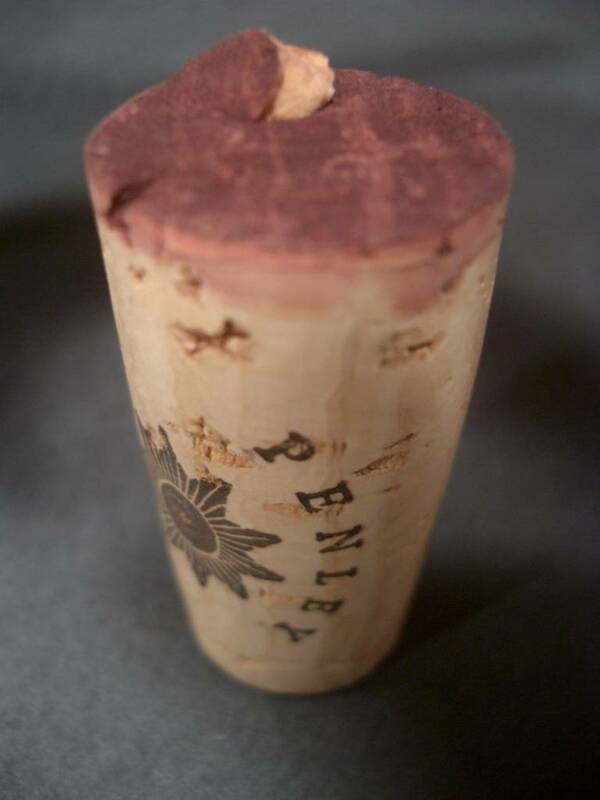 Check here to see what the Penley Estate themselves thought of this wine! Yes - it's a great tip. My friend MB discovered a while back, but this was the first time I got round to checking it out. Bacar told me on Monday it was the last one of the year. I hope they reinstate them next year. They told me they would but it would probably just worth calling them to make sure before making the journey.